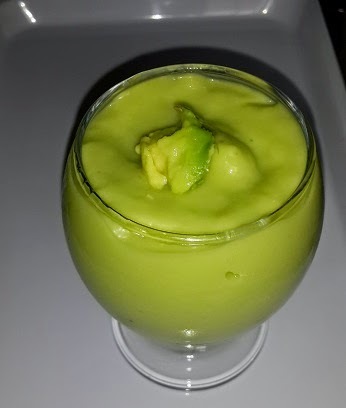 Friday Goodness: Avocado and lemon smoothie. 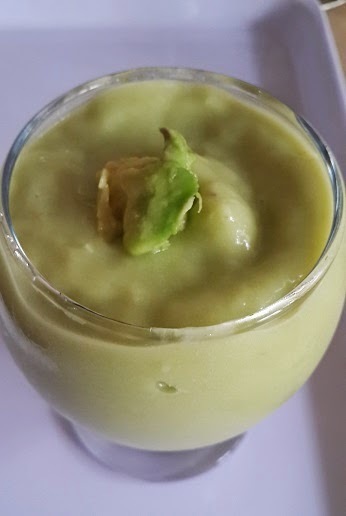 Recipe for my home made Avocado smoothie. I think this is my best tasting smoothie yet! Lemon, avocado, bananas and pineapple. I used a quarter of the whole pineapple above. Pour all the chopped fruits into your blender or smoothie maker. Add the ice cubes and blitz away. 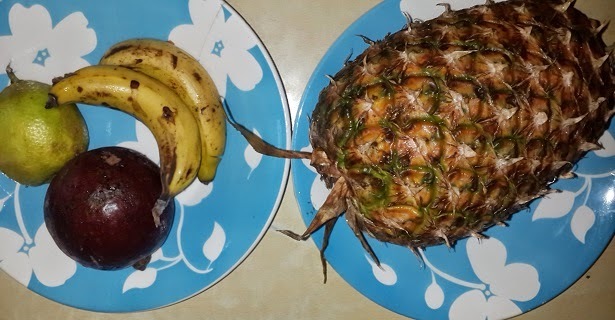 DO NOT add water, use the blender paddle to move the fruits around so that they blend without water. Blitz for about 5 minutes or till really smooth and creamy. This whole thing yielded about 2 tall glasses. Yes its that easy to get in all the nutrition you need. I had mine for breakfast. I drank the whole thing alone, forget this small cup, na to snap piture for una. Lol! I hope you try this, its really smooth and creamy like ice cream hehehehe! God bless. Good job you're doing here! Pls is this a weight loss drink? Its more like a healthy drink. It will nourish your body and aid in giving you additional energy to keep fit and live a healthy life. Lmao! Ok use little cold water but it wont be as creamy. Correct chic! I made it ystrday night, it was fab!!! I don't think I'd hv any reason to buy ice cream anymore... It was really creamy... Used very small water.. Tnks for d recipe dear. You are welcome dear, I'm glad you loved it. How many calories in 1 serving?